Working together with over 50 financial institutions means we can bring you some of the best rates the market has to offer. To you our customer this means incredible savings and unbiased advice. 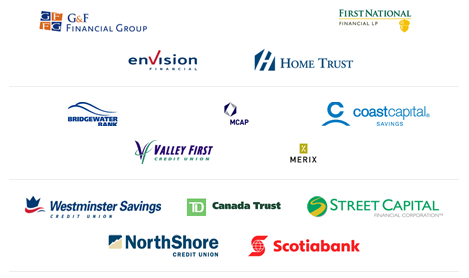 City Wide Mortgage Services and it’s Mortgage Planners are proud members of the following associations. BBB Accreditation is an honor – and not every company is eligible. Businesses that meet our high standards are invited to join BBB. City Wide Mortgage Services has been a member in good standing, with an A+ rating, since 1995. With over 12000 members, representing 1500 companies, CAAMP is the national association and the collective voice of the mortgage industry in Canada. Represents the province’s mortgage industry and exists to support and enhance professionalism and ethical standards within the mortgage industry.